Add onion, salt, green chilly and coriander leaves. Heat oil in a large spoon. Add mustard seeds. Add it to the raita. Mix well. 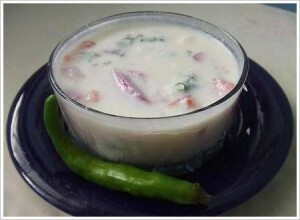 Serve the onion raita with imli rice.